Two people were killed and seven others injured in a road accident involving two buses and a pickup at Gazaria in Nagarkanda upazila of Faridpur on Monday. The deceased were identified as Azizur Rahman Munshi, 55, son of Abdul Malek Munshi, and Hafizur Rahman Badal, 40, son of Solaiman Mollah. Witnesses said an ‘Emad Paribahan’ bus from Dhaka collided with a Dhaka-bound ‘Eagle Paribahan’ bus coming from Narail around 12:30pm. Under the impact of the collision, the ‘Eagle Paribahan’ bus crashed into a stationary pickup on the road, leaving a person dead on the spot and eight people injured. 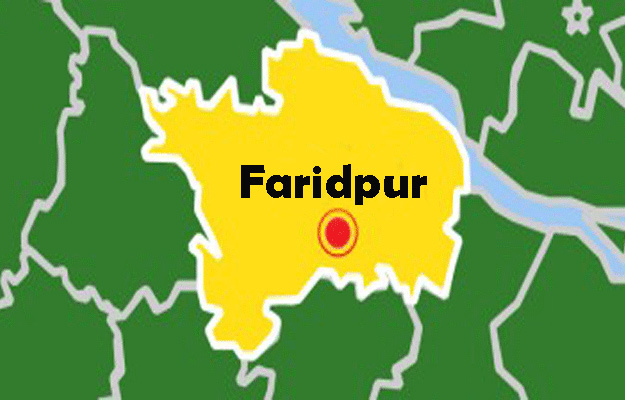 One of the injured died on the way to Maksudpur Upazila Health Complex while the rest were taken to Faridpur Medical College and Hospital. Angered at the accident, locals put up barricade on the Dhaka-Faridpur highway, halting traffic for about two hours. On information, police rushed in and brought the situation under control, said Mizanur Rahman, officer-in-charge of Nagarkanda Police Station.